Circuit Motorsports is one of the largest BC Racing dealers in the United States. We have extensive knowledge on the kits and we are capable of doing custom setups that will meet your exact driving needs. If you're not sure what spring rates, valving, camber kits or coilover setup is right for you, that's alright! Just call or message us and we can guide you through the entire process to make sure you get the kit that is right for you! We can also set your kit up with the upgraded Swift Springs, which is a big improvement. Don't buy a one size fits all coilover kit, contact Circuit Motorsports for a personalized experience. 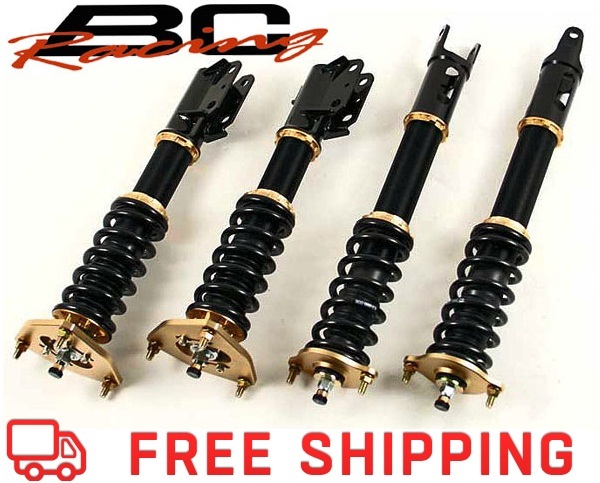 If you're in the Orlando area feel free to stop by our shop and we can set you up with a custom BC Racing coilover kit that will suit your needs!